Charter Tru reported 0.09% of its portfolio in Medtronic plc (NYSE:MDT). Baldwin Brothers Ma holds 122,106 shares or 1.86% of its portfolio. 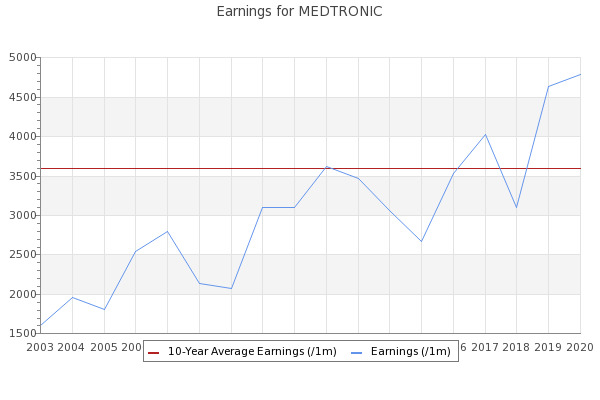 Virtu Financial Llc decreased its stake in Medtronic Plc (MDT) by 61.02% based on its latest 2018Q4 regulatory filing with the SEC. Auxier Asset Management decreased its stake in Medtronic Plc (MDT) by 3.84% based on its latest 2018Q4 regulatory filing with the SEC. Healthcor Management Lp decreased its stake in Medtronic Plc (MDT) by 12.84% based on its latest 2018Q4 regulatory filing with the SEC.